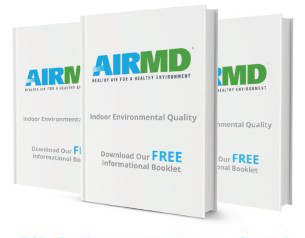 AirMD’s network of consultants provides VOC Testing in Montgomery, Alabama. Volatile organic compounds are emitted as gases from certain solids or liquids. VOC’s are emitted by a wide array of products indoors. They originate indoors from common sources including paints, cleaning supplies, carpets, wood floors, building materials and home furnishings. Breathing low levels of VOCs for long periods of time can increase a person’s risk of health problems. Studies suggest that exposure to VOCs make symptoms worse for people who have asthma or are particularly sensitive to chemicals. Scientists look at short-term (acute) exposures as hours to days and long-term (chronic) exposures as years. Some symptoms of Short-Term (Acute) exposures to VOCs include increased risk of eye, nose and throat irritation, headaches, nausea / vomiting, dizziness and worsening of asthma symptoms. Symptoms of Long-Term exposures to VOCs include increased risk of cancer, liver damage, kidney damage and central nervous system damage. To book VOC Testing for your Montgomery home or business, Click Here. You can also call us at 1-888-462-4763 or 1-888-GO-AIRMD.